Work for Kronos Workforce Central? "Workforce Management with Kronos Workforce Central"
The timekeeping and scheduling features of Kronos WFC are truly outstanding, easily best of breed. For a large organization like mine, a very robust and scalable time management system is a must. My organization needs Kronos WFC to interface with a number of other systems. Developing interfaces is doable, but expensive. Purchase only the features that will truly provide your organization with a satisfactory ROI. I say this because it is possible to overspend on Kronos. However, Kronos sales professionals are very good at helping customers pinpoint their requirements and will write-up proposals accordingly. Kronos WFC has provided my organization with a wealth of data to use in solving various business problems related to the workforce. Among these are overtime tracking and cost containment, compliance with staffing requirements, and continuously keeping track of on-call staff. We still have a ways to go in meeting these challenges, but Kronos WFC is providing us with the data we need to get it done. "Kronos overview as an end user, admin and TK consultant"
The mobile feature for employees is pretty cool. Accrual balances shown are user friendly on the timecards, however within the reports the layout can afford to be improved quiet substantially. Once schedules are set, they look pretty convenient however, the set up process is quiet tricky for the managers. Request Time Off feature is also pretty straight forward. The integration with outlook needs to be enhanced such that managers should be able to take direct action of the time off requests from the email itself instead of signing in Kronos to decline or approve a request. Delegation function is quiet useful but managers keep asking for quick guides for the processes. I am new to Kronos and still learning the tool. However I have noticed many limitation of the system. I believe some of the automation can be enhanced at the back end. The notifications quiet often don't work for the managers, specially if the requests are far ahead of time. The hyperfind feature could afford to have some decentralization such that the managers or admin users can themselves set it up for their employees including the move of SCOAs. Maybe add more reminders within the system which could be synced with outlook as well to alert managers and admin users for missed time entries or even if time off requests are pending for manager action. Auto calculation of payroll. Central system for employee records and decentralized control with the managers and admin users. "Kronos is a Leader in the Industry for a Reason"
-Kronos provides patches that fix issues, but introduce more issues so you have to apply patches to your patches. This is mainly a critique of WFC 8.0 rather than any other WFC major version. We have really been able to recognize when and how overtime is happening to better schedule employees to still meet staffing needs without causing as much overtime. HR really makes use of exception instances and auditing features during cases of employee discipline and finance really makes use of metrics we can generate with custom reports because Kronos has pretty good documentation on database setup. Kronos offers a variety of services and in my workplace we use all of these services. Our managers use this to make schedules and sales associates as well as supervisors and managers themselves are able to view their schedule, via online or via mobile app. They are also able to request time off. This is a section from Kronos that I admire most. There isn’t much to dislike about Kronos but I suppose as far as scheduling goes, please make Kronos more available for all devices not just apple or the main android phones. I had an employee who couldn’t use the service on her mobile device because either her phone could not support it or the program wasn’t compatible. This is the only clear problem that has risen. As mentioned before Kronos in our workplace is used for all it’s features but primarily in scheduling on a weekly/ daily basis. The benefits of this program that stick out is the features one little part of Kronos provides. You can easily schedule. Request time off. View your schedule, and Kronos even offers the ability to view and manage our payroll affectively. Within this program we solve problems such as going over payroll, scheduling issues (Kronos offers a simple schedule automation) and we can easily adjust to fit our company needs. In theory it's a nice idea. Our clock in system requires ID badges that you have to scan when clocking in or out, and there's several Kronos machines stationed throughout the hospital. You can approve your timecard, check your hours, PTO, pretty much everything regarding your paychecks and hours right on the Kronos stations. Not the least bit reliable, my job requires me to have 2 separate badges, one for access to certain parts of the hospital as a key card, and the other is my Kronos time clock badge. They rest one on top of the other on my lanyard and for the first few weeks, when I would try to clock in and out, the machine would confuse both the badges because my key card was too close to the machine and it would tell me that it had punched me in, and a couple days later I got a call from my boss asking me why I wasn't using my badge and I was almost written up for it. Maybe consider exploring all your options for timekeeping, this is a great program but there are plenty of kinks still needing to be worked out. From my understanding, (I've been with my current job for about 7 months) they've had this timekeeping system at work for at least the last 2-3 years, and every single employee has issues with it at one point or another. even the most experienced users there have issues because it's a very glitchy program. But as I stated earlier, when it works, it's excellent. I love that I can see everything, the ease of navigation and how easy it is to clock in and out. I like that I can clock in, clock out, check my earnings history and approve my time card within minutes. It keeps track of earning histories for 12 months so I can easily go back and print pay stubs off for specific dates. Came in handy when buying my car and my home. Would not want to use anything else. All of my coworkers like it as well. I do no dislike anything about program. It's great. My only peeve is that I cannot access it offline. If we lose power or the internet goes out, we cannot clock in, clock out or check our time. We are not allowed to use our version with mobile so it can be annoying if I have to call my manger (who is in a different office) and ask her to clock me in and out. We live in a rural area though with sometimes poor internet and while being able to work offline would be great, I'm sure that not everyone will have this problem. I do not have any recommendations, it is pretty easy to use and basically self explanatory. I can, check my punches, see what I need to fix before the end of the pay period, approve my time card and check earnings history all in one program. Kronos offers top notch support experience. The high quality level of support make up for some of the shortcomings in Workforce Central offerings. I definitely like the direction Kronos is heading with its Dimension offering. I am fully enamored by it but the migration path is a major concern as my company currently utilizes Kronos HR as well. The product lacks built in workflow management that should be standard in an enterprise ERP system. Interfaces are less than desirable substitutes for an end to end workflow management feature. As I previously stated, I really like the Dimension product but the migration path for current Kronos HR customers must be made easier. Being forced to go through Workforce Ready as a transition stop is basically a show stopper. Provide an easier migration path to Dimenions for current Kronos HR customers!!!!!!!!!!!!!!!!!!!!!!!!! Time management, HR, and Payroll areas are what my company currently subscribe to. We are considering Performance and Absentee modules. "Great Product with great support behind it." Ease of use for end users. Straight forward from a business perspective with very little difficulty in navigating changes that need to be made to the system. I like my "partnership" with Kronos, I am not just a customer to them. This isn't always the way it was but it is now. I also like that I can call and get assistance from my Cloud contact, Customer satisfaction contact or our Sales Rep. Whenever I reach out to this group I get a response almost immediately. My dislikes aren't with the product they are with my end users using the system. Kronos is a large organization but doesn't act like one. Anything that you will be a part of with Kronos will always be done with the highest standards. Ask a lot of questions of the Sales person your speaking with and most importantly, ask for customer references. I know what your thinking, they are going to provide only those that give positive glowing reviews, but remember this, positive glowing reviews sometimes come as a result of an issue that you might have worked through with your service provider. As a result of the actions taken and professionalism shown that would be why your review is what it is. I have been called by potential customers of Kronos and have been honest with them about my experiences. A true business reference needs to be that way and not one sided in either way. As a company, we are coast to coast, which means we have employees in CA, OR, AZ and NV. Each of these have some oddities that are easier to deal with having Kronos and being able to build out specific rule sets for each location. We have also been able to turn over the time card maintenance feature to our plant supervision with HR getting involved only when asked, to train, or on payroll day. "It was a long process to get it working correctly." I like both programs, Telestaff and WFC, but wish there were a bit more flexibility in some areas. Reporting is still an issue for us, but we are working around it with some creativity. Even after two years I do not feel that the department I work for got adequate training. Originally we were only going to use Telestaff and then 2 weeks before we went live we pulled our Civilian employees out of Telestaff. Officers use Telestaff, and Civilians use WFC. I am administrator of both. It's been trial and error throughout the process. A bit over a year after go live, May 27, 2017, things are going very well at last! Our payroll and time and attendance was a very manual process before Kronos. I have noticed that it now takes more time and more people to do what I did before, which is very surprising to me. Maybe it will smooth out over time. Either way, I am happy we are at this point of automation. We are now paying our civilian employees following guidelines of the remainder of the City employees. Kronos offers e-mail alerts for approval. As an employee, it's an easy place to find accrued vacation, sick days, etc. It feels like a program that was written 2 decades ago and is in severe need for a facelift and upgrade. We've had many issues in the past with browser compatibility issues. Also, updating line items (e.g. changing regular pay to sick pay) is not very intuitive. If you leave a 0 in a space instead of a blank, Kronos will sometimes replace the 0 with 8 hours. Switching from another pay to regular will not automatically merge rows. The whole interface is archaic. Seriously consider other options unless this is significantly cheaper. It gives the required information to payroll and keeps track of vacation and disability hours. "From my CTO position Kronos is meeting our needs and capable of a lot more." I most like the team of individuals that we have had the opportunity to work with as we have implemented a few of their modules including, TimeKeeper, TeleStaff, HRIS and Payroll. Our project implementations took a little longer than I had hoped they would have. As a result some of our internal and Kronos team members have changed roles. There is always someone else to take an open spot but it challenges to continuity a bit. The Kronos team understands their modules and how they work. To be successful, it is dependent on the organization having defined rules, processes and procuders. With these, Kronos can build the necessary configurations to ensure the functionality matches. It is up to the company to have these things well documented, it will make implementation much easier. Centralizing our timekeeping and hours calculation across all departments within the city has been very helpful. We will be seeing more accuracy in the calculations of our hours worked and payroll rules with easier management and oversight than we had previously. Thank you for the detailed review Dan! You couldn't have said it any better! In order to maximize the benefits and features of Workforce Central, it's highly important to have business processes and rules well defined and documented. I'm also glad to hear the implementation went well! I like that all employees that I have rights to access are listed on the My Genies tab. The ability to make changes and notations to time are also good features. I also dislike how the commands are organized for generating reports. I dislike having to open the program in Explorer for it to work. Other companies are able to use different browsers, but for some reason in our organization it does not work in other browsers. Carefully evaluation all options that the program has to offer to make sure that it meets your specific needs. Kronos is used to manage time for our employees. It is beneficial for providing an electronic system that can be managed by central office. I like that the system is customizable. If we realize we are having to consistently fix an issue or we change a policy with our company, we have the ability to make changes in the system to make it automatic...or can contact KGS for help creating the change. I do not like that WFC is a platform, not one true system. We have interfaces in place for the data to write over from one data source to the next, which causes delays during the peak hiring season. We also need to create our company information in several locations and then must link them so ensure that the data writes over correctly. Look at all of Kronos's products and decide which system will work best for you. Determine if you will be maintaining part of the HR/Payroll process outside of Kronos or are you going "all in". WFC integrates with other systems, but if you will not be using other systems to maintain the data, Workforce Ready or Workforce Dimensions may be a better fit. Do your research and contact other companies who already use the product. We have more realized that we need to keep building up our Kronos platform, to reach our full potential with staffing. However, the way we originally set up WFC, does not lend itself to the ease of adding the next piece. We are researching Workforce Ready, in the hopes that this change would be more beneficial. "Why Workforce central for workforce management?" It is very user friendly which includes complete workforce package and easy to understand and learn. it has Analytics module which is complete reporting system. I like the navigation behavior of the system. historical corrections, time off requests. Time tracking is user friendly and easy to understand. Support is good and lot of documentation in the kronos portal. The WIM programming is very interesting to learn and help improve our technical skills. Installation of service release and upgrade would be not too complex if we plan in a proper way. There will be lot of valuable suggestions in the customer portal which help us to plan better during the upgrade/ service release and installation. We find lot of articles which help us to troubleshoot data or application issues. Advanced scheduler gives us more options to create schedules in myriad ways. We can automate most of the tasks using workforce integration manager. There are many features that I like. Search criteria is not available for all the building blocks of payrule. for example, we cannot search combination rule, overtime rule etc which is time consuming. This could be improved as it will take time to search them. Analytics is not real time as live instance. Analytics DB file upload to KGS would be time consuming process using filezilla too. Best product to use for workforce management. User friendly product and easy to understand and learn. All the work force management related tasks. "Kronos - easy time card access"
I like how easy it is to log hours in the workplace by using Kronos. It is not a complicated tool. It is a tool that I feel more companies should implement because of the practicality and ease of use. There is not a thing I dislike about Kronos. There was no training that was necessary to become a pro at using Kronos to keep track of my hours. One thing I dislike - is more from a company standpoint because my company does not utilize the mobile app. I feel like this would be key to employees who may be home sick on a day where the time card needs approval. This then leads to the employee having to approve the time card late when they get back into the office. With the app, said employee would be able to easily do this from their mobile phone while at home, and not hold up the payroll process. Definitely give it a try. Easy to use, no training necessary. I do not solve business problems with Kronos, I simply use it as an employee. It makes for logging time off, whether planned or unplanned, simple. I simply approve my time card after the 2 week pay period, and get paid the following week. Simple as that! If I did use it at a greater capacity, I feel as though it would be a breeze and extremely helpful. Thank you for the review on Workforce Central and I'm happy to hear that your experience is wonderful from an employee perspective. I agree that the mobile application would provide employees more flexibility with approving their time cards and accessing other information. Kronos is very streamlined and works great in a healthcare environment. The options to float hours, transfer hours between locations, and code worked hours for employees is critical when clinical staff move between units and teams in a single shift. For the employee, it is very self-managed and if implemented correctly it is not the expected time-consuming process for managers and supervisors once employees are held accountable. Tracking leaves, vacations, and sick time is very simple for all parties involved. Due to the amount of data that can be customized it allows for great report running not only for your team, but for the entire organization. When it comes to pay, you don’t want to skimp on your resources or you may risk legal repercussions when it comes to federal labor laws. There can be a bit of a learning curve for managers when they’re supervising a large team (25+) of exempt, non-exempt, per diem, or on-call staff. Varying types of pay codes exist and in healthcare hours can be reflected very differently. The system can also be a little tricky when running a 24/7/365 operations such as a hospital, but fortunately there is support with Kronos. When employees are not held accountable for maintaining their weekly or bi-weekly time sheet it can fall heavily on managers to clean up/fix/submit dozens of leave requests and hours on their behalf. If you get ahead of this problem and make teams accountable it does not become much of an issue. As with any time keeping system training employee is always a challenge, but I would argue Kronos offers a simple setup for most learners. Implement an annual training both for team members as well as supervising approvers. Federal labor laws can change at anytime so being prepared to educate what's required by the worker, but also by the manager will help protect the organization from legal investigations. Training is the most critical because one person cannot manage a large organization of time cards, and each individual needs to be held accountable regardless of their role. With the Kronos database, operational leaders and our chief financial officer have started looking at labor metrics that have played a critical role in strategic initiatives. With changes in healthcare reimbursement we had to quickly start monitoring both employee hours, but have also managed to begin tracking contract labor hours – which in any healthcare institution is always present. By tracking both paid and contract labor we have much more accurate financials to build off for our other operational healthcare delivery efforts. A big factor in healthcare has been overtime for years, and with Kronos we’re able to identify areas with the most overtime down to the individual workers. Kronos has granted the organization a level of quality assurance, and it in return has protected the organization from time card fraud or mismanaged pay by managers. Thank you for the review on Workforce Central. Your feedback is important to us and please feel free to contact me to discuss training opportunities for your organization. Kronos can support you for additional training aimed at managers and supervisors. "Kronos is a system for distributed timekeeping with flexible options for time entry"
Kronos provides a good hosted solution for collecting employee time from a distributed employee base. The system provides the ability to enforce payroll policies in multiple ways based upon regulatory requirements or needs of our organization. Also we are able to manage leave balances for a variety of employee types across our organization. There are parts of the system that are not as flexible as I would like. One of these instances is making on demand reports available to employees, as well as providing managers the ability to view GPS punch data within their web browser and not keep that functionality limited to the mobile application. We are collecting employee time electronically which increases the accuracy of the time as well as allows us to collect it in a efficient manner. We are using Kronos for management of our leave accruals as well as allowing our employees to request time off with in the system. We have also configured the system to handle special pay situations that were previously handled only on paper. "Experts in the field whilst continuously improving the ir product"
Stability of the product once new version have settled is the biggest competitive advantage KRONOS have. There are knowledgeable support personnel once you have made contact with them they solve any issues rather quickly.The fact KRONOS have moved away from client side java requirements is fantastic. Flash free versions are being worked on presently so this also is a step in the right direction. Customer service over the years has dropped away considerably. It simply is not what it used to be. This really lets the brand down and is disappointing to see. It feels like there is not enough screening of support personnel, i.e lack of knowledge is an issue. Whether this is caused by lack of training, assessments or lack of ability to retain staff. Make sure you choose dedicated customer relationship managers especially during implementation. Failure to do so will leave you very frustrated. Make sure you general support plan is suitable for your environment. Hard ware and software support should reflect your needs. KRONOS at its best is know for flexible implementation of AWARDS, EBAs and general employee agreements. Therefore it provides consistent pay data which is paramount in todays digitally connected and aware society. KRONOS is also know for workforce management, I feel that a lot more work needs to go into this area so that it can be used efficiently out of the box by a wider array of industries. "Best clock in system I have ever used!" My favorite features of Kronos include the fact that I am able to clock at work at any workstation located within the hospital within a matter of 2 seconds or the swipe of a badge. Another feature which has been extremely handy is having the ability to look at my direct deposit pay stubs before the checks are even sent to the bank, that way I can budget a few days before my money is made available. Lastly, my favorite thing about Kronos is the fact it is accessible from work, my home computer, or my mobile device. That being said immediately upon logging in to Kronos I am able to see exactly how many hours and on what days I have worked, as well as how much PTO and sick pay I have accumulated over the course of a pay period. My biggest dislike regarding Kronos is the ease of use for generating a time bank adjustment. For example, if I forget to clock in, I can add a missed punch adjustment; however, for some reason I cannot figure out how to add only one punch. Instead the software doesn't seem to allow you to enter only one missed punch, but requires you enter a punch in and punch out. Coming from a millennial who considers themselves relatively tech savy, It's confusing and I end up needing my boss to adjust the time clock from their side in the end anyway because I have typically ended up messing up my timecard even more than it was to begin with. I work thoroughly recommend kronos to any business looking for a more efficient time banking system. 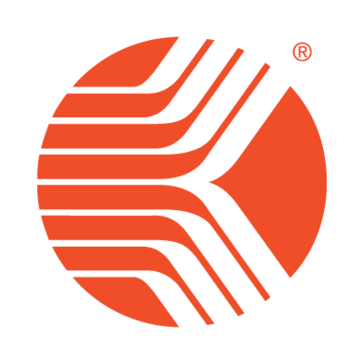 I have worked for several large corporations ranging from retail to healthcare; all of which had their own time clock system, as an employee, Kronos is by far my favorite software bar none. In my opinion, Kronos is kind of an all around great software for any business that is looking to monitor employee time cards and payroll. Kronos, especially when paired with its badge-swipe workstations are amazingly easy to clock in and out of, and automatically uploads that information to the online application. Not to mention HR and payroll departments can collect any payment preferences or time card reporting issues all in one convenient location. "Kronos is an excellent tool for payroll departments to use as a timekeeping system"
The Genies in which the data is exportable via CSV (for some reason, there are problems with Excel), Hyperfind queries which make it easy to group or isolate certain data types; interface with ADP works well, the EFT to update Kronos from ADP also works very well; the device monitor helps with monitory timeclocks. Our users do not find it to be user-friendly; the Time Off Request via the Navigator has LENGTH instead of # of hours worked per day. Our employees think it's the LENGTH of their PTO so I have to make corrections every payroll for once who do not get it correctly, I was asking Kronos for a edit or warning message and I was told it would cost $50K to do it so I thought forget it. If I had an opportunity to voice some concerns, I think we can make it a better experience for our users by adding videos on How To read your timecard, to request Time Off, read the calendar, to Cancel TOR, etc. Also we constantly have Java errors and was told that Version 8 does not use Java as much. Is that true? I would recommend KWFC because compared to other timekeeping systems, it works well for administrators. There are improvements that can be made to make the user-experience more friendly. To some it's simple enough but to others, it's a struggle. You almost have to assume everyone does not know anything and it guides you through what you want to do. Also, in reference to the TOR in the navigator, I don't think that testing involved users (administrators). When we implemented the Navigator version of TOR, I could forsee what was going to be problematic however, at that time Kronos had no solution. When we rolled it out, it was a nightmare come true. I'm hoping that this will be fixed in Version 8. We have pulled overtime reports which are critical to our company with regard to expenses, I would like to see if I can first improve the user-experience for my company by providing a dashboard for everyone and included How-Tos in the timecard area so that if the user needs to know how to do something, they can just click on it and there is either a video or instructions on what to do. "WFC 8.0 brought ease and transparency to our timekeeping process"
I like the ease of use of this system. The technical acuity of our employee base is varied, and everyone is able to use this system with minimal training. As the person who handles the setting up system configurations, I like how adaptable the system is and how many options I have for customization. The reporting options for managers are not always intuitive, but the options are vast. The tools are there, but sometimes you need to look for them. It would be helpful to have a more robust dashboard for both managers and employees which would allow one to take multiple actions from a single page or source. While all information necessary is accessible, in WFC, you must go into each area to access the information. Take time to understand what you need as a business. The more you understand your needs, the better equipped you will be to configure your system from the beginning to best support your business needs. Prior to WFC, we were using an excel document for timekeeping. Aside from being rather unmanageable with our rapidly growing employee base, it lacked any amount of transparency. Managers did not get to review anything on timecards until they were actually submitted at the end of the pay period. Now managers have the ability to check timecards at any point in the pay cycle and proactively address concerns. I love how it is a complete management system, that flows from recruitment in HR to payroll. We can track all aspects of an employee's information. This makes it easy to find specific information at any given time. On the most part, I have not found anything major that I dislike. However, I dislike how certain audit features are not available for timekeeper. I would like to see a complete audit trail of a user's time on Kronos. Any changes made at all should be recorded. There have been times that there was a change made to an employee's record, and looking back at the audit features, there was not an option for what I was needing. Also, I would like to be able to select a specific person and date range for some payroll reports, rather than just being able to enter a specific date. Use as many of the products offered, as it merges all information together, giving a complete picture of your company. This avoids having to rely on another department or staff member to acquire needed information. We are solving the problem we had with overtime being too high, and we have benefitted from being able to run reports for most anything. "Kronos Detailed Reporting is Great"
Kronos Workforce Central provides clear, concise reports that have helped me validate hours for audits and ACA compliance. The reporting feature is easy to use. I had never had training in Kronos reporting but I was able to log into the system and navigate very easily, running reports to pull data for the time periods I needed. I was able to then provide compliant reports to applicable parties in a timely manner. I cannot think of anything I dislike about Kronos Workforce Central. The time keeping system is easy for our employees to use. Kronos Workforce Central is an easy portal for employees to use when submitting their time, review accrued vacation and sick time, the location they worked at as well as easy to use reporting features. Kronos provides a great product! We are currently moving towards upgrading to the next level of Kronos Workforce Central. We are working with the Kronos team so we can ensure we are utilizing other key features such as the scheduling component in the system. This will allow our managers to be more efficient with managing their teams so they can focus on assisting our customers. It's easy to understand how to use Kronos. Schedule editor is nice and easy to use. Its simple to look up employee info when it is needed. Ex. Looking to see when someonr has been oriented too or looking for their phone number id we need to get in touch. I understand what kronos is trying to do which is great. But my biggest dislike is the speed. It takes twice as long to get information in than it did when i used another system called Clairvia. Staff management is the slowedt. The while screen refrehes in between every change which can take up to 30 seconds. Imagine having to staff 30 people or more at a time and floating them to units but every time you float or make a note it refreshes to save. This takes ample time and i only habe a certain amount of time to complete my work before employees start calling wondering why things aren't completed. I use Kronos to float staff to different units of the hospital. I habe to make sure everything is floated with the correct codes as it can effect payroll. Kronos is user friendly and very customizable to the business needs. Employees are easily able to log hours work and request time off. Editing mistakes and changes is very easy and requires little to no explanation. Management can approve schedules, time cards, and PTO with minimal effort. The program also auto flags and tracks late arrivals, long lunches, and early leave. Although it is easy to see your PTO balance, it is difficult to find exactly when you used PTO in the previous year. It is also difficult to see previously scheduled PTO past next pay period. Managing time clocks and overtime. Many on our team used to be salary employees but now have to become accustomed to clocking in and out. The quick time stamp button as well as easy editing is helping team keep an accurate log of hours worked. The program also easily identifies when overtime starts making this expense easier to manage as well. Have you seen the setup menu? Oh my god is that a confusing mess. There's also so many things that you imagine should work but just don't. I was trying a simple thing like having an accrual start with a sum of 15 and the system won't let me do that. Simple things like that are annoying. I also hate that 8.0 is Flash based. Don't do it. The vendor offers better products. Workforce Ready and Workforce Dimensions offer so much more powerful tools. We use it mostly for timekeeping. It does indeed solve that problem. The ability to have controls on workforce labor levels and tracking. Compliance with DOL, and internal/external auditors. Fair pay. Visibility into workforce data to bring into human capital management strategies. Business intelligence and operations management drivers come from the Kronos data. Kronos has a very good education, k-12, platform now. This has been a big success, and important for future implementations. I hope to see more education, k-12, enhancements in the near future. It doesn't operate like other graphic interfaces, so you have to learn the Kronos GI logic. Which still employs some archaic practices. There are no simple buttons. I would suggest a Windows 10 layout, where large icons take you directly to your need, like inputing leave time. Not really. I think there a program that is as practical as Kronos, and yet has a usability that can fit a more familiar interface. We utilize it to monitor and put in our leave. I believe other departments at Clemson use more of the program than we do, but we use it to input leave. In terms of benefits, it simply catalogs leave, that's it. And it doesn't not do it incredibly easily. Hi Joey– Thank you for taking the time to review Workforce Central. I am sorry to hear that you find the graphic interfaces dated. I would love to talk about how you are using Kronos and show you more information on our new Workforce Dimensions product that has a new and modern design. Please feel free to touch base with me at Sharon.long@kronos.com. I enjoyed the ability to view my time worked and the math automatically calculated within the application while I was an non-exempt user. Currently as an exempt user I use Kronos primarily for tracking my time off accruals and balances when used. The reporting engine in our implementation of Kronos seems to be not user friendly. This may be caused by how the software is implemented to us as users. I have to say that Kronos is a great tool for tracking worked time and time off. Since I have worked for the company it's the only tool that we have used. The primary focus of our company's implementation for Kronos is for Time and Attendance. Other departments within our company used the Time-Off Request module for tracking which is currently not used by my particular department within the company. Thank you for reviewing Kronos! It is great to hear that they system is accurately keeping track of your time! Please feel free to reach out to me if I can help you learn how to navigate the system. There are also some excellent resources on the Kronos Community. "Excellent product for time keeping and attendance tracking"
I love the way Kronos can be custom fit to my needs in the Genies. I utilize this tool for many aspects and to give people what they need quickly. The schedule gives an easy view to see where issues are and updates the time card immediately and the attendance application for supervisors overnight. One of my favorite things about Kronos is not just the program but the knowledgeable staff that call you when you do happen to have an issue you can't resolve on your own. They take the time to listen and then help you fix the problem. If they are unable to assist, they will always go up the chain until they find someone who has the answer or can work on it until it is fixed. The pay code on the timecard does not show if it has a comment in the schedule. That would be helpful to keep from going back and forth to see if they left an audit trail. When going from the time card to the schedule, the week being viewed does not stay. The timecard can be Previous and the schedule opens at Current. Take the time to talk out what you need because they have the answers if you just let them know the direction you are headed. We upgraded from Iseries to Central in June of 2017. This version is much more user friendly and has the ability to "see" problems quickly. "Not the most intuitive time sheet module"
I like that Kronos Workforce Central displays the time card and the accruals bank on the same page since I am always curious to see how my PTO is building up. You can also see time cards from previous weeks or future time cards which can be helpful. Another good feature is that is counts up your hours on the side as you enter in your time, to make sure you are meeting your weekly hours, (if you're an hourly employee, that is). I dislike that Kronos is not very intuitive. Particular the "pay code" section where you enter in other hours, like Sick Time, or PTO, when you are taking time off. What I find to be confusing is when you have to split your day between hours worked and hours off. For example, if you worked a half-day and left at noon for your vacation. The process is kind of challenging. Additionally, Kronos can be buggy at times. The only other time card software I've used is PayChex Flex. Kronos appears to be a bit more simple than PayChex, but it is probably a matter of personal preference. For example, Kronos does not provide a box for text, if you need to explain anything about your time card, whereas Paychex does. Kronos is the quick and easy electronic way for employees, especially hourly employees, to track their bi-weekly hours and any time that has been taken off. I imagine from the finance department's perspective, it is a very helpful tool in process this information. "Great company to partner with"
We have been partners with Kronos for many years but centralized and upgraded over the last few years. All of our upgrades have been professionally done which has contributed to their success. V8 was a bit tough to upgrade to but now we are on it, it is working well for us. It did take a fair amount of retraining our users to get used to the new look & feel. Do a thorough evaluation of current processed and calculations used to calculate OT, Stat Holidays, etc. We tripped up a lot trying to remain compliant and 'no change to the employee' because there wasn't clear understanding how we were previously calculating and what we needed to be doing to be compliant. We are a company of acquisitions and moving to Kronos Workforce helped bring us to standard processes for processing of Time & Attendance. I feel pretty neutral about what I like about Kronos. One feature that is good about it is that it is simple enough to access your schedule through the mobile app. The mobile app is much easier to use than the website version. The Kronos web version is not user-friendly in my experience because I often have trouble making time off requests and accessing my schedule as the layout is different than the mobile app. Also, on both the mobile and web versions, I receive notifications about open shifts and when I click on the notifications it does not direct me to a page where I can accept the shift. The notification system is confusing in this way because I have no idea where to go on the app to accept open shifts. I would also suggest displaying the schedules in calendar format so it is more visual and easy to understand. From a user perspective, Kronos is confusing, but the mobile application is sort of user-friendly. The web version is not very user-friendly and I would not recommend using it. I like that I can request time off through the app and communicate this information to management easily and much in advance. "Kronos design, implementation and go live." What an experience! I learned so much. It's hard to say what I like best. I like being able to make the historical corrections so the employee can see that their issue has been addressed. I like having all of the accruals in one place and it is shows a current balance on a daily basis. I like that when the EE clocks in/out they can see their timecard on the same screen. No excuses for not looking at their timecards. I wish we had a time off calendar that shows the managers all of the future requests so they can see at a glance without having to run reports and basically making their own calendar. This has saved time by eliminating other process that were run before with our old system. Exporting is a quick and easy process that is also time saving. "Continuous upward development, but with some speedbumps along the way." I like the consideration the company puts into not "breaking" the product for existing users, as new configurations and ideas are developed. Mobile functions are good, and critical to helping employers keep staff connected and engaged. Having a restriction in how Job Transfer Sets work. I need JTS to have autoscheduler schedule staff as I want, but, I want staff to have a more open access to be able to swap and cover shifts. The order of the selection fields on the Requests Manager Widget are not configurable as to the order they present in. It makes no sense to have to set the third item from the left (request type) then move tot he first item and set the date, this back and forth is not intuitive and simply a basic ignorance of how a user would navigate the page. Schedule patterns and templates make scheduling easier across the company, also having an audit trail to be able to easily look into what happened, when, and by who has been super helpful to make sure compliance items are followed or issues solved. "Not as User Friendly as You Might Expect"
Kronos WFC functionality is very expandable to meet various needs and requirements from the business. Once you understand why Kronos works the way it does and the configuration, it makes sense but for the bulk of our associates (managers, etc.) they don't care about the ins and outs of the functionality. Kronos WFC 8.0.14 functions as it's configured but is not always intuitive or user friendly. Many users (managers specifically) have concerns with their access because they see too many employees or they do not see the correct associates at the right time (ex: transferred employees). Access is done automatically but there are still a lot of questions since we have secondary, third, etc. positions with a lot of our workforce. Ensure your implementation partner is working for YOUR benefit. This is very hard to determine in the beginning but it's important to understand not only what they know about Kronos but understand the business reasons and want to invest themselves into your organization to figure this out. This is not a black and white process but if you have a poor implementation partner, it will go downhill quickly. Additionally, don't rely on KGS to provide expert-level support. This is base-level support, at best, and don't hesitate to ask questions even if it includes asking for another opinion. KGS is a level-1 support team that will not necessarily look into your configuration - they will likely look at the problem (regardless of industry) and provide whatever solution is likely in the KB or on the Kronos Community. Ask additional questions and for escalation if you don't feel you're getting the support you need. Problems are primarily with manager access and understanding why. Our timekeepers have also struggled with having too much access and are now limited in what they can do (which has been much needed for many years). Kronos, for our organization, has grown many bad habits with access and lack of accountability that we uncovered when we upgraded. Due to this drastic change, user adoption has suffered and Kronos is seen as a "terrible" product within our organization. Benefits include the fact that accountability and responsibility are more enforced by utilizing Kronos, it truly takes away accountability and responsibility from one party and transfers a lot of it back to the associate which is where it should primarily reside. Kronos is one of my favorite programs. We have recently upgraded to 8.0 and we love it! We are also using ATK and mobile. I have used Kronos for over 16 years and the product continues to amaze me. We are excited to upgrade to 8.1 soon and then Dimensions. New features in Kronos gives our managers and associates access to be sure they are paid correctly and efficiently. We are now in the cloud and we seem to have a challenge with support. It is getting better as we have worked with PM's and others to better the communication. I also feel like that we were not told everything about the new functionality that we brought on. Overtime and payroll corrections. We have now put the power in associates hands. They have visibility to their timecard. They use GTOR and submit missed punches. We also require them to approve their timecard. Analytics provides us with a wealth of information and provides us with the ability to pull our own reporting without SQL knowledge. The customization abilities of the navigators/workspaces make it great for differentiating user access and needs. While Analytics is one of my favorite items, the integration piece/lack of real time data is a drain. Glad to hear that is remedied in Dimensions. There are plenty of other screens/displays I wish were customizable, for example, Forecast Manager, Productivity Monitor. As a retail client, Advanced Scheduler is very relied upon but would be great if there were some improvements to the Tablet interface for scheduler to keep our management on the sales floor. There are gaps in the Accruals where policies can be "broken" causing issues with further pay code edits. Auditing functionality is robust, but very tricky to read or report upon without Custom engagement, causing a lot of manual work. Ensure you are very specific with your needs up front and anticipate future needs when building customs. Reporting can be robust, but sometimes not as clean or customizable as desired. Support is great from KGS and the community provides a wealth of knowledge for furthering your own abilities in the system without needing to engage. We're able to schedule and review coverage at the 15 minute level for stable customer to staff ratios, to ensure we have the right customer service level. Accruals are centralized in the system, reducing the need for multiple systems of record. "I'm reviewing the customer service aspect of kronos, and workforce central as a whole." I really appreciate the ease and availability of kronos customer service. Anytime I have a question about how to change something in HRPR setup or questions about a position setup, they are always so helpful. Also, the navigator screen is really user friendly, and easy to switch from screens such as timekeeper, HRPR, interfaces, etc. I do have a problem with HRPR quereys (spelling?) I don't like not being able to set a time period for the query. I really like Workforce central. From a HR perspective, it is very user friendly, and for things I do not understand, kronos customer service is excellent. During the kronos works conference, i have learned that after our upgrade to 8.1, which is going live at the first of the year, we will be able to use business intelligence reporting, which I am very excited about. This will eliminate the problem mentioned above about not being able to set a time period for the report to run from in HRPR query. I used the system for approval and analytics. I like that is very user friendly and includes so many optional features, and in addition, multiple ways to access the tools you use most frequently. Most of all, I like that I can sort and change my view to fit my personal preference. I dislike using multiple steps to complete a single task in Kronos 8. I would like the option to have the time card approval option to also save changes. In addition I would like for the menu selection to sit closer to each other , so I do not have to scroll to one side of the page to save and the opposite side to run a report. It may seem like a small problem, but when you’re approving 500 time cards in a single day, you’re always looking for way to reduce steps. The biggest benefit will come from our upgrades that are currently in transition, which includes the scheduling system, absence management, and Kronos acuity.
" Great way of monitoring employees time"
i like that the time sheets are easy to read and you get alerts when people forget to punch in and out, I also like there are so many possible things to do with this time keeping system. I don't like that the version we are on still has some glitches like example when you add a new employee you have to put some info into the comments section and save it and then go back in and remove it before you or a manager can actually start adding punch in and outs. I don't like that our company doesn't utilize so many of the things this system can offer. id like more training classes on site at home at reasonable priced options for companys and the biggest one is our company wont let us have a connection and kronos says they have to use what they can for loging into our systems but because of security reasons we cant use that. "Kronos Workforce Central - an all-encompassing system"
The aspect of Kronos Workforce Central that I enjoy the most, is how user friend it is. Having worked previously with another payroll system, I was nervous to convert to WFC. My nerves were short lived. I am able to easily navigate the system, and if I run into any issues there is an amazing team of support professionals available with just a phone call. I have yet to have a negative experience while calling Kronos Global Support. I like the carousel that contains all of the materials I need to successfully complete any aspect of the payroll process. If there is anything that I would have to categorize as a dislike I would say having to call Kronos when we have effective dates that have to be changed, that would be my only "complaint" - The tool they use, though, is pretty amazing! It makes it nice to have a "clean" record. It seems we have had a lot of effective date issues recently, and I think that it just prompts us to provide continued education to our users on the importance of checking the information entered prior to saving. Continue to update the appearance! Beginning January 2019, our organization (roughly 2300 employees) is going to discontinue the outsourcing of certain payroll processed and we will be doing it all in-house. It is a very exciting time to be involved with all of the necessary steps, and Kronos has provided us with some amazing training. Having the ability to house all payroll functions under one system is what I love about WFC. We have recently completed the entire setup process for Workforce Acquisition and I cannot wait to see how that helps with employee retention in the future. The part that makes it the best is the oppourtunity to meet other users. The contacts you get are a great resouce.The other part is the oppoutunity to talk with the Kronos about current concerns and ways to get fix. Getting to see what is coming. All the walking :) This year there are many good sessions at the same time and connot attend both. It is very confusling when trying to create your agenda. Work with Kronos they know what they are doing. They will but you in the right direction. Ask lots of questions. Talk to other customes find out what worked best for them. Get buy in at the top and make sure they are involved. Make employees accountable from the start. This is their way to make sure they are paid correctly. We use Kronos in three ways that allow us to manage our staffing on a daily basis. Advanced schedulding, Workforce cental and Kronos Analtics. Using all three allows managers to manager their staff on a daily baisis for attendence and hours that affect the bottom line. "Great product for Retailers - DImensions"
I don't have negative feedback as we are not using Workforce Central, but are actually on Dimensions. I understand that we've had a few challenges during implementation, but that's to be expected. Our team has been very happy with the partnership and service level provided, especially as we are integrating multiple products. With Dimensions, we are solving the problem of scheduling with our team. We are also using the Phobio integration to communicate socially with our teams, which is critical with the type of employees we have on our retail teams. Passport has also been a great tool to reduce windshield time for our team! "Smooth Implementation and Great Product Team"
The user experience on the latest version of WorkForce Central 8 is great. Our users have all commented on how much easier the product is to use since we implemented this from v6.3. The new functionality for wizards has made our weekly sign off process so much slicker and we now have far fewer issues at pay period close. There are a few features which could be opened up more, such as the calendar views. Being able to view for groups of employees not just individuals would make it a far more powerful tool. We have also experienced some issues with firmware compatability with certain smartview transactions which could be cleaned up. Workforce Central is allowing us to create more powerful accrual models to enable us to more effectively and accurately manage our holiday accruals for our employees, ensuring we stay compliant with each country's legal rules. Ease of use. Once you get the basic understanding of the Kronos Timekeeper product, it is very simple to use. Everything starts to make sense and you can understand how things flow from one another. Once you feel that you are ready for the next step, then they are more tasks that you can accomplish, such as creating genies and other setup configurations. The only that is disliked are a couple different configurations that throw the system off. It's very unfortunate that we are only presented with 3 date fields in Kronos. Also, Genies are very dependent on ONLY the employees that the manager has access to. Even if someone transfers into the manager's department, they have no record of it. Make sure that you understand exactly what you want accomplished with using the product. Our biggest issue with Kronos is the fact that we have thousands of position codes. We have more position codes than we do employees. We created positions codes for Full Time, Part Time, Supervisory and Supplemental. So for each position that we have in Kronos, we essentially have 4 codes for 1 position. Timekeeping and Core HR is what we solve the most with the product. It has come in handy for the preparing for budgeting purposes as well as getting accurate pay rates for each of our employees. The shift differentials are very easy to use and understand coming out of the system. Thank you for sharing your review of Kronos! We are so pleased to hear that you are finding Timekeeper easy to use! We are also pleased that you are discovering the additional features available to assist you with your job. Please feel free to reach out to me at amy.fafard@kronos.com if we can help you with your configurations. In addition, the Kronos Community is an excellent resource to get questions answered as well as a place for posting future product suggestions. "Adjusting to change for the good"
I enjoy the cross hair option on the quick actions while editing multiple schedules at the same time. When I teach other managers how they can use this, they are amazed but also sad that they hadn't learned this feature sooner. I do not like the flash updates that come with this version of Kronos. Sometimes the flash page appears once a day. Other days it appears 5 or more times. This also happens regardless of what browser I use. It is a work in progress but excited to see what future updates bring to the table. Advanced scheduling has solved a lot of problems for my business in the healthcare field. Benefits to this version is that we no longer have to have Java to use it. Our managers are still adjusting but once they accept change, I think they will appreciate this version more. "Almost 20 years on Kronos WFC products and going strong"
I like the fact that that through the years I have always felt like I have had multiple avenues to voice my likes, dislikes and challenges with the products. Our rep has always taken time to know our company and suggest real solutions. Even though all my suggestions are not implemented, I have had the feeling like I'm heard. I like the community feeling. I don't like that the rest of the world has found My Kronos, and now it does take more time to get changes to some products. In the early days, I had less competition. Having our time worked, schedules all together and feed into our analytic and reporting tools is much more efficient. "Gran programa para las gestión del tiempo trabajado"
Si pido una semana de vacaciones (5 días), mi jefe recibe 5 correos electrónicos separados con 5 solicitudes por separado para cada uno de los días. Debería tener una función para no sobrecargar las bandejas de entrada de correo electrónico de los administradores con notificaciones. Además, cuando veo los días solicitados, es difícil ver todo cuando los días están dispersos. Yo prefiero que estén juntos. Además, cuando mi tiempo libre se aprueba, recibo 5 correos electrónicos por separado para todos los días separados. Eso es desordenado e innecesario para un software que debería ser más inteligente. Recomiendo mucho a Kronos. Lo he usado durante casi 1 año y siempre he tenido una experiencia agradable. Es muy simple de usar y tiene todo lo que necesita relacionado con la fuerza de trabajo. I love the functionality of the complete software as it has the ability to perform Payroll along with Time and Attendance. Also you can take it on the go with mobile where you can use your iPhone, Tablet, or Droid phone to keep track of Scheduling, accruals, and time. Although I love the functionality of the mobile portion it does have its limitations compared to using the desktop version. However over time and with the development of Dimensions these issues will be a thing of the past. I would say definitely take a look at Kronos and also consider moving to Dimensions as it has more functionality as to all of the older versions. We primarily are using Kronos to track exception time for our Rig employees however we are planning to introduce the completed time punch and accruals in the near future. With the use of positive time tracking we can definitely see what the employees are doing and when they are actually punching in and out. Learning about Kronos Workforce Central? * We monitor all Kronos Workforce Central reviews to prevent fraudulent reviews and keep review quality high. We do not post reviews by company employees or direct competitors. Validated reviews require the user to submit a screenshot of the product containing their user ID, in order to verify a user is an actual user of the product. Hi there! Are you looking to implement a solution like Workforce Central?